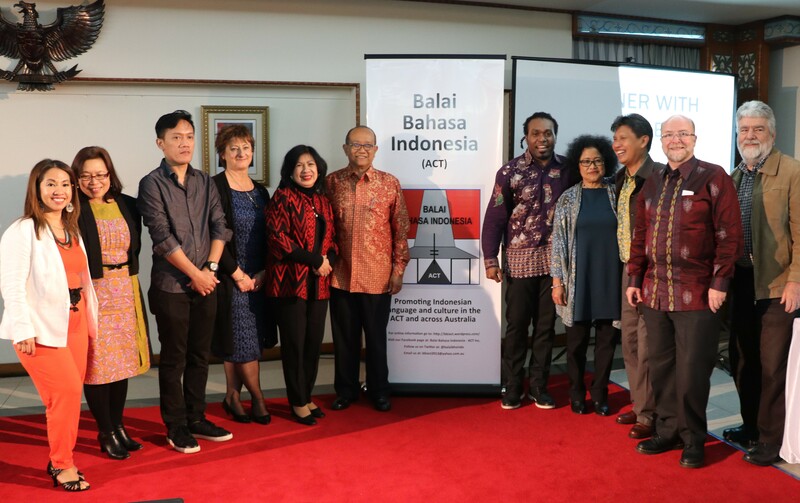 Balai Bahasa Indonesia (ACT) hosted a visit by renowned former Indonesia Idol star, Michael Jakarimilena to Canberra on 1-2 September 2016. 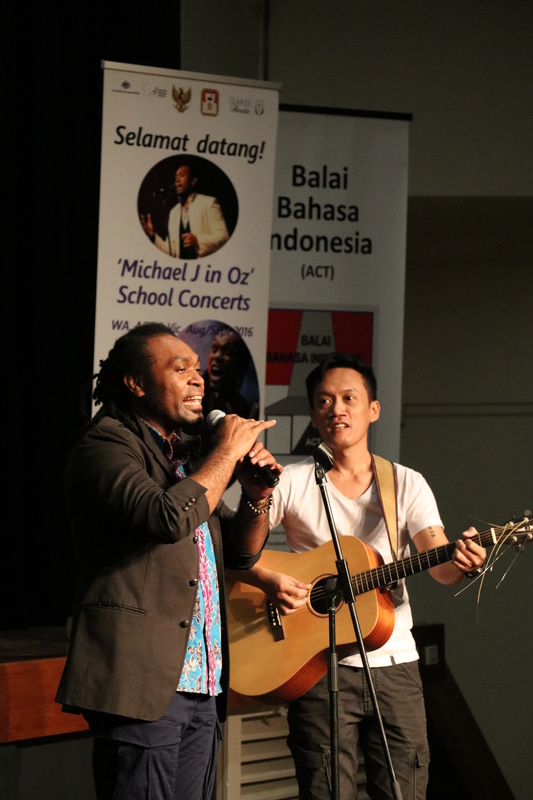 Michael, accompanied by guitarist Tony Brillyanto, performed a schools-only concert at Alfred Deakin High School on 1 September for over 150 students of Indonesian from secondary schools throughout the ACT region. Michael, a native of Papua Province, thrilled his enthusiastic audience with renditions of his most popular recent songs, including ‘Raya Indonesia’, ‘Salam Tiga Jari’ and ‘Papua Dalam Cinta’. 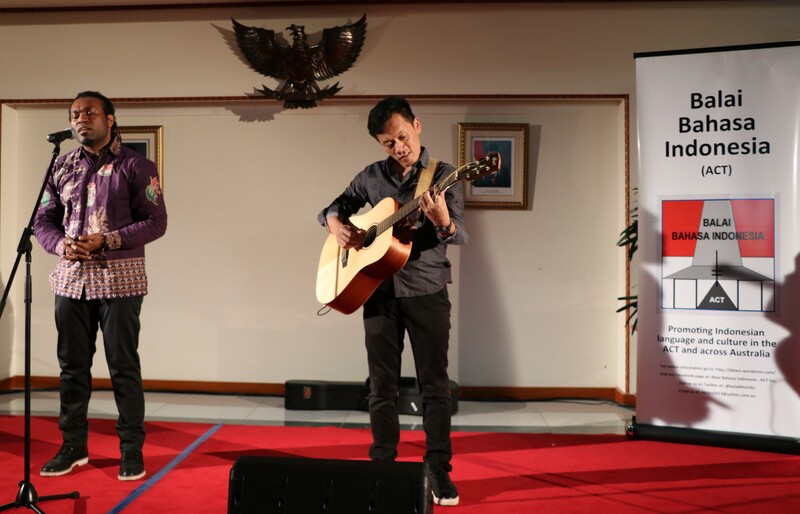 Michael also performed for an appreciative audience at the Indonesian Embassy on the evening of 2 September. Michael’s Canberra performances followed a highly successful visit to Perth where he also performed for schools in concerts organised by BBI Perth. 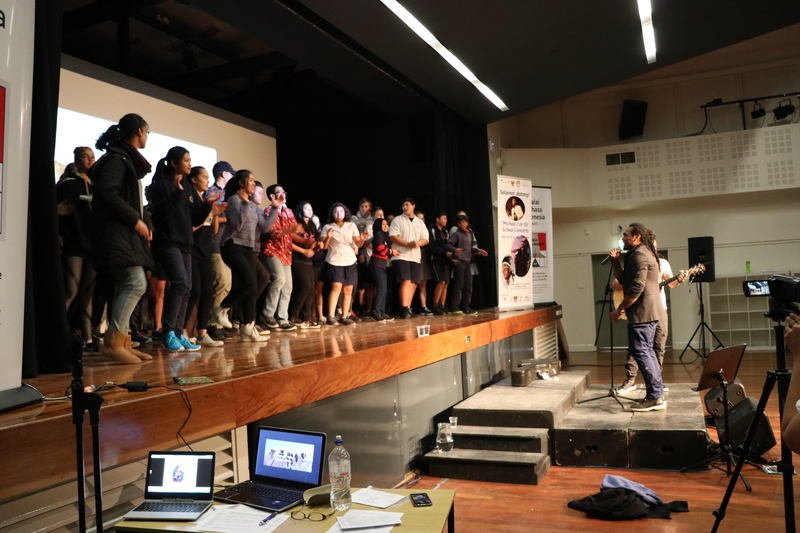 From Canberra Michael left for Northeast Victoria where he was due to perform at the Beechworth Secondary College on 5 September before returning to Indonesia. In welcoming Michael and Tony to Canberra, BBI (ACT) chair, Heath McMichael, said that their visit reinforced a primary goal of the BBI (ACT) to support the learning and teaching of Indonesian in schools in the ACT and throughout Australia. Heath congratulated the performers for rekindling students’ passion for the Indonesian language and for building a bridge between cultures. “Michael and Tonys’ electric performance at Alfred Deakin High School demonstrated once again the power of music diplomacy”, Heath said.